Is there any paperwork or document for the mechanical systems of 676 Wellington St, Aurora, Ontario? I need more information about the property at 676 Wellington St, Aurora, Ontario. How ist the neighborhood, location and nearby amenities for 676 Wellington St, Aurora, Ontario? I have questions about the roof, foundation, insulations and mechanical issues of 676 Wellington St, Aurora, Ontario? I need more information about property details. What's wrong with this house? Is this a short sale? Is there any maintenance for 676 Wellington St, Aurora, Ontario? What is this property worth in today's market? What are "closing costs", and how much? What steps should I take when looking for a home loan? What price home can I afford? Is my credit good enough to buy this house? What are the best mortgage options for me? How flexible is the seller on the asking price? How low can I consider offering for 676 Wellington St, Aurora, Ontario? 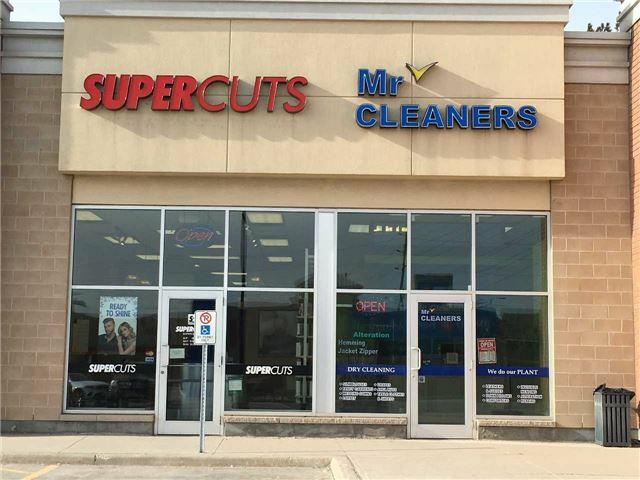 Stable & Highly Profitable Dry Clean Depot At The Most Sought-For Plaza With Longos, Bmo, Cibc And Many Others. The Business Has Been Over 7 Years With Still Growing Sales Of $3,700 Weekly. Enough Space For Touch Up Press, Washer & Dryer And Resting Area. Short Business Hours From 8:30 - 6:30 Weekday, 9:00 - 4:30 Saturday Which Can Be Extended For Higher Income. Enough Lease Till End Of 2019 And Two 5-Year Renewal Options. Shirts Regular $3.49, Pants Regular $7.97 And Suite $18.97 (Plus Tax). Net Average Income $7,000 Per Month. Excellent Clienteles And Growing Population With Expensive Homes Under Construction. Showing Thru Lbo. Do Not Go Direct.